Dr. Jin-San Zhang obtained both his M.D. and Ph.D at Norman Bethune University of Medical Sciences (Now Norman Bethune College of Medicine, Jilin University) in Changchun, China. He then joined the National Laboratory of Medical Molecular Oncology, Peking Union Medical College (PUMC) and Chinese Academy of Medical Science (CAMS), Beijing on a National Postdoctoral fellowship, where he later became a faculty member at their Postgraduate School in 1995. He was an Associate Professor at National Laboratory of Medical Molecular Biology, Institute of Basic Medical Sciences, PUMC/CAMS, when he joined Mayo Clinic in 1997. 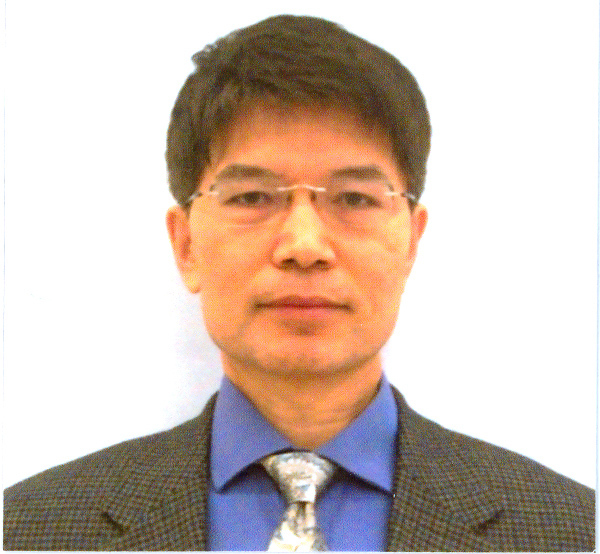 Dr. Zhang became a faculty at the Department of Gastroenterology and Hepatology with an Assistant Professorship in Medicine in 2002. He became the Principle Research Scientist at the Division of Oncology Research, Schulze Center for Novel Therapeutics in 2008, and has been spearheading the pancreatic cancer research program supported by Mayo Pancreatic cancer SPORE with Dr. Daniel Billadeau. He has been interested in basic cancer biology as well as translational research particularly on pancreatic cancer. Dr. Zhang’s expertise covers cancer cell signaling, epigenetic regulation, cancer stem cells and discovery of therapeutic targets. • Hippo signaling mechanism in regulation and maintenance of pancreatic cancer cell stemness. 2.Hessmann E, Zhang JS, Chen NM, Hasselluhn M, Liou GY, Storz P, Ellenrieder V, Billadeau DD and Koenig A. NFATc4 Regulates Sox9 Gene Expression in Acinar Cell Plasticity and Pancreatic Cancer Initiation. Stem Cell International 2015 (In press). 6.Deng ZH, Gomez TS, Osborne DG, Phillips-Krawczak CA, Zhang JS*, Billadeau DD*. Nuclear localized FAM21 participates in NF-κB-dependent gene regulation in pancreatic cancer cells. J Cell Sci. 2015 Jan 15; 128(2):373-84. PMID: 25431135. 14.Lomberk G, Grzenda A, Mathison A, Escande C, Zhang JS, Calvo E, Miller LJ, Iovanna J, Chini EN, Fernandez-Zapico ME, Urrutia R. Kruppel-like Factor 11 Regulates the Expression of Metabolic Genes via an Evolutionarily Conserved Protein Interaction Domain Functionally Disrupted in Maturity Onset Diabetes of the Young. J Biol Chem. (2013) 288(24): 17745-58. 15.Hu Z, Gu Y, Han B, Zhang JS, Li Z, Tian K, Young CY, Yuan H. Knockdown of AGR2 induces cellular senescence in prostate cancer cells. Carcinogenesis (2012). 33:1178-86. 16.Daftary GS, Lomberk GA, Buttar NS, Allen TW, Grzenda A, Zhang JS, Zheng Y, Mathison AJ, Gada RP, Iovanna JL, Billadeau DD, Prendergast FG, Urrutia R. A Detailed Structural- Functional Analysis of Kruppel-like Factor 16 (KLF16) Reveals Novel mechanism for Silencing Sp/KLF-sites in Metabolism and Endocrinology. J Biol Chem. (2012) 287(10): 7010-25. 17.Baumgart S, Glesel E, Singh G, Chen NM, Reutlinger K, Zhang JS, Billadeau DD, Fernandez-Zapico ME, Gress TM, Singh SK, Ellenrieder V. Restricted Heterochromatin Formation Links NFATc2 Repressor Activity With Growth Promotion in Pancreatic Cancer. Gastroenterology. (2012) 142:388-398. 18.Zhang JS*, Koenig A, Harrison A, Ugolkov AV, Fernandez-Zapico ME, Couch FJ, Billadeau DD*. Mutant K-Ras Increases GSK-3β Gene Expression via an ETS-p300 Transcriptional Complex in Pancreatic Cancer. Oncogene (2011) 30:3705-15. 22.Vanaja, D. K., M. E. Grossmann, J. C. Cheville, M. H. Gazi, A. Gong, J. S. Zhang, K. Ajtai, T. P. Burghardt and C. Y. Young. \"Pdlim4, an Actin Binding Protein, Suppresses Prostate Cancer Cell Growth.\" Cancer Invest 27, no. 3 (2009): 264-72. 13. 23.Wang, N., Q. Zheng, J. S. Zhang and Y. Zhao. \"Molecular Cloning and Characterization of a Novel Mouse Actin-Binding Protein Zfp185.\" J Mol Histol 39, no. 3 (2008): 295-302. 24.Wang, N., J. S. Zhang, Q. Zheng and Y. Zhao. \"The Unique Localization of Zfp185 at Uropod of Mouse T Lymphocytes.\" Scand J Immunol 67, no. 4 (2008): 340-4. 25.Grzenda A, Lomberk G, Zhang JS, Urrutia R. Sin3: master scaffold and transcriptional corepressor. Biochim Biophys Acta. (2009). 1789(6-8):443-50.